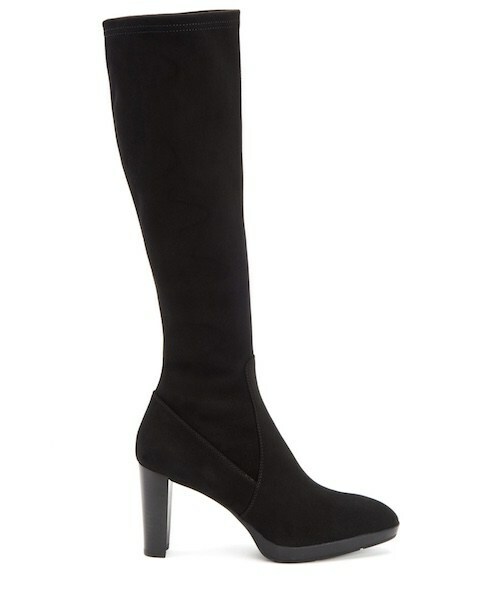 The Aquatalia Rhumba boots were made in Italy from a weatherproof stretch suede fabric. They featured a 3½” heel, a ¾” platform, a slip-resistant rubber sole and soft microfiber lining. “[I] love the boots! I’ve worn them the past two days and they’ve been very comfortable. I walk a lot at work and we get a ton of snow here. The suede does great with water. I’m usually a size 7.5 and I need a 7 with Aquatalia. But, that didn’t affect me this time because I had ordered the Aquatalia Rae booties before, as a close replacement for the Royal booties. I would definitely recommend their boots and booties”. 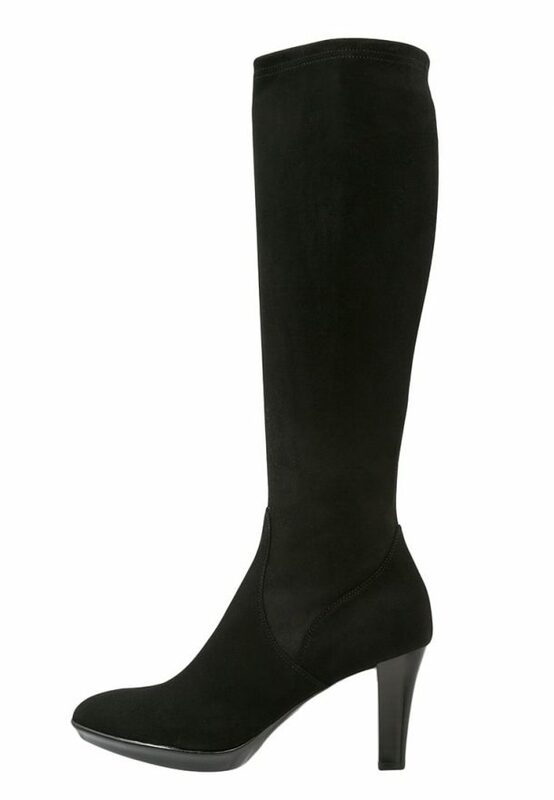 The Duchess has worn several pairs of boots from Aquatalia in addition to the Rhumba, including the New Dry style (pictured below) and the Rouge/Royal style. 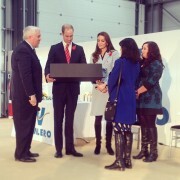 To view more of Kate Middleton’s boots click here. You can also browse the shoe section of our site to see more of her footwear.